A delightful, ‘can-do’, fun-filled experience for the whole family to enjoy! Olivia is sometimes awkward, definitely curious, and a little lonely. She is new, she wants to make friends, and most of all she wants to be able to catch a tennis ball! Can our plucky heroine overcome her fear of ‘dropping the ball’ that threatens to bounce her into the side lines? Watch and cheer on as Olivia turns her world into a game she can play! CATCH! is an action-packed, interactive adventure for little ones, their families & their friends that uses balls, racquets and all things sporty to tell a story about a young girl making friends and overcoming her nervous fears about sport. 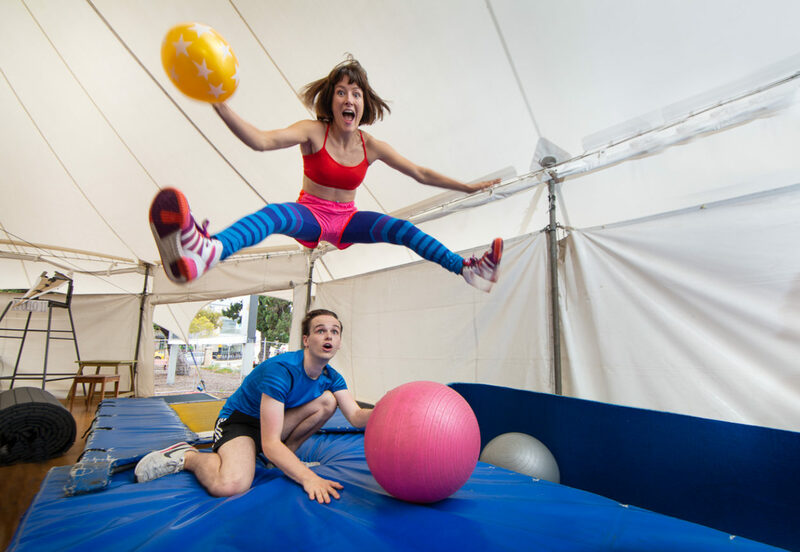 Circus, Theatre & Puppetry meet in this high energy, playful and imaginative take on our love of sport. 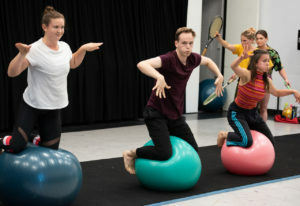 Our cast jump, roll, bounce and throw as they learn to ‘look before they leap’ while ‘having a ball’!! CATCH! is all about making friends and becoming a team. 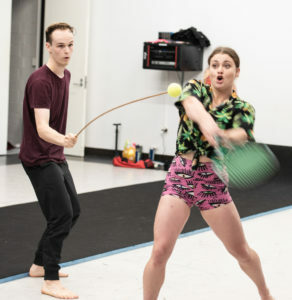 Co-created by award-winning Director Sally Richardson with some of our most exciting circus and puppetry performers and designers, CATCH! 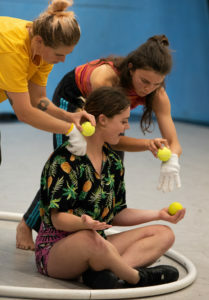 is fresh, playful, fun-filled & ‘thoughtful’ circus theatre work for younger audiences & their families that explores our relationship to competition. Join us and our wonderful team of young artists for this hilarious, fun-filled and super playful performance! 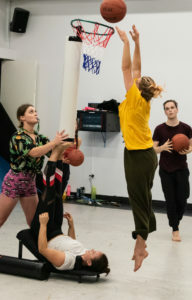 MAXIMA are committed to exploring how we can support early childhood development and younger audience’s engagement with performance in inventive and fresh ways. How we learn, understand and deal with difference, our varying abilities, and be open to discovering new ways of seeing ourselves and each other.